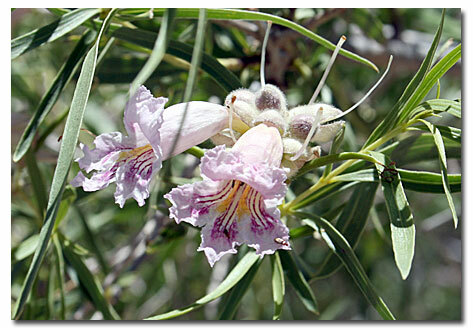 The Desert Willow is an upright shrub or small tree that grows to a height of 25 feet. The trunk grows up to 6 inches in diameter and has dark brown, scaly bark. Narrow, alternate, light-green leaves are 3 to 6 inches long with very pointed ends. Slender brown twigs are often hairy or sticky. 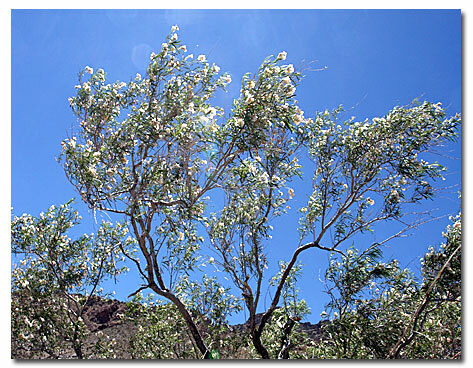 The Desert Willow is not a member of the Willow Family (Saliaceae) as are true willows, but is the only species of the Bignonia Family (Bigoniaceae) native to California. This deciduous plant is classed as a phreatophyte, and is an indicator that water is not too far below the surface during part of the year. The common Spanish name Mimbre means willow-like, referring to the long, slender leaves. 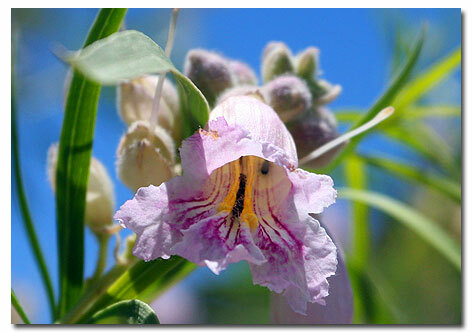 The wood of the Desert Willow is used for fenceposts. A tea is sometimes made from the dried flowers and seed pods. 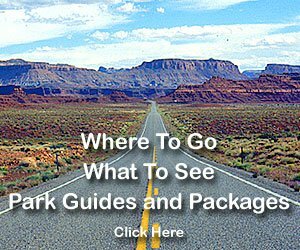 Mojave, Sonoran and Chihuahuan deserts from southern California to southwest Texas, as well as northern Mexico between 1000 and 5000 feet. Along desert washes and creeks, stream banks and drainages. Large, fragrant, orchid-like flowers, 1-1/4 inches long with white edges and pink-to-purple throats normally bloom from April to August. But these funnel form, tubular flowers have been seen blooming as early as November. Long, brown, cigar-like pods grows 4 to 8 inches long. Fruit matures in autumn, splits in two, and remains on the tree until spring. Pods contain numerous flat, tan seeds with dual hair wings. The ubiquitous coyote originally ranged primarily in the southwest corner of the US, but it has adapted readily to the changes caused by human occupation and, in the past 200 years, has been steadily extending its range.